Mac-Ster, Inc. is a family owned business that specializes in precision sheet metal fabrication and machining. 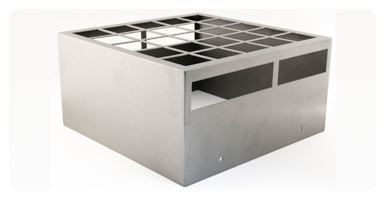 Mac-Ster, Inc. is equipped to laser cut, turret punch, form, weld and finish all your parts to perfection. We specialize in engineering and extremely quick turnaround. Our shop is open 7 days a week, 16 hours a day. We are willing to go above and beyond to make sure that your project is completed On Time, Every Time. We understand the importance of meeting your deadlines, so in turn, you can meet the deadlines of your customers. Please contact us today to discuss your requirements.